There's only one doctor for 1,700 people in India, according to World Bank's 2012 data. Mobile and Internet technologies are being seen as the means to address India's deficit of doctors, through innovations in technology and telemedicine. Globally, digital health startups attracted $5.8 billion (roughly Rs. 39241 crores) in funding in 2015, according to venture capital database CBinsights. Three companies - Chinese medical platform Guahao, US-based Zocdoc and 23andMe acquired unicorn status (were valued at over a billion dollars) in 2015. Sequoia Capital-funded Practo provides healthcare solutions for healthcare providers and consumers. Practo Search lets patients to browse through doctor profiles online and book appointments, while Practo Ray, serves as a practice management solution for healthcare providers to manage patient data and digital healthcare records. The company added speciality specific modules for Physicians, Paediatricians and Dentists to Practo Ray. Practo is active in 35 Indian cities, and in Singapore, Philippines, Indonesia and Malaysia, and acquired Fitho, Genii, Quikwell and InstaHealth in 2015. Netmeds is a licensed online pharmacist offering prescription medicines and other health products across India, covering Tier 2 and 3 cities and villages. The startup provides low-cost generic drugs as alternatives prescription medicines, and delivers orders in three to seven working days. Payments can be made via card or cash, with charges of Rs. 49 apply for cash on delivery orders less than Rs. 1,000. Operational in 25 Indian cities and Malaysia, Portea provides a marketplace for in-home healthcare services. 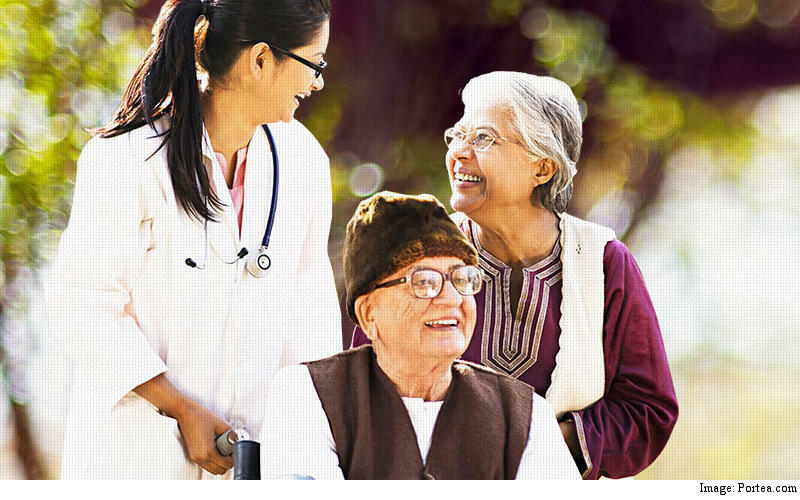 Its services include doctor consultations, physiotherapy, postnatal care, nursing, eldercare, and lab tests. Portea also offers medical equipment like beds and mattresses, respiratory equipment and cardiac products for rent. MedGenome is focused a genomics-focused research and diagnostics company, on a mission to improve global health by accelerating drug discovery research for pharma companies by decoding the genetic information contained in an individual's genome. The company announced a $20 million (roughly Rs. 135 crores) Series B investment from Sequoia Capital in June 2015. The company says that it's the only lab in India to provide a HiseQ 4000 NGS (Next Generation Sequencing) machine, and the first to establish a facility for non-invasive prenatal testing for chromosomal disease in India. Headquartered in California with offices in Mumbai and Shenzhen, the fitness wearable company provides a free fitness band with personalised coaching on a subscription plan that starts at Rs. 3,999 for three months, Rs. 6,999 for six months, and Rs. 11,999 for 12 months. Goqii is backed by leading angel investors and raised $13.4 million (roughly Rs. 89.4 crores) in its Series A round of funding in November 2015. 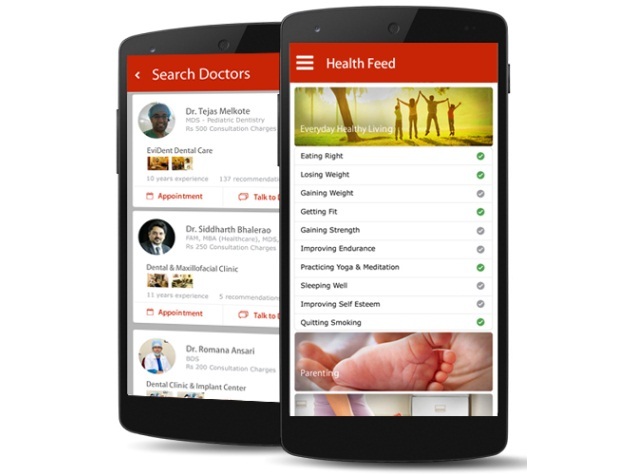 Backed by Ratan Tata, Tiger Global and Nexus Venture Partners, Delhi-based Lybrate provides an online and app-based doctor consultation platform to connect to healthcare specialists from diverse fields including ayurveda and homeopathy. Patients can consult online with over 90,000 healthcare practitioners in across 30 Indian cities. Attune Technologies is a provider of cloud-based health information systems for clinic chains. The startup raised $10 million (roughly Rs. 66 crores) from Qualcomm Ventures India and existing investor Norwest Venture Partners in October. The company's platform interfaces with over 1,100 devices and has over 200 clients globally. WelcomeCure is an online homeopathic tele-consultation platform that claims to treat over 80 common and 20 uncommon clinical conditions on live chat and Skype, enabling patients to consult from anywhere in the world. The startup claims to have the world's largest homeopathic database of cured cases and patient management systems. 1mg provides a web portal, along with apps for Android and iOS for searching drugs.1MG delivers medicines in Delhi NCR, Bengaluru, Chennai, Hyderabad, Lucknow, Agra, Indore, Bhopal, Ludhiana, and Jalandhar, users can shop and choose cheaper generics on the platform. The company also lets users book for diagnostic tests and appointments, and claims to have over 3.5 million downloads. Relisys is a Hyderabad-based startup that develops and manufactures stent systems and angiographic catheters for treating life-threatening diseases including cardiovascular, peripheral vascular, neurovascular (stroke) and structural heart disease. The company has a manufacturing facility with a production area of 35,000 square feet, and was the first to have a catheter manufacturing facility as per the USFDA norms in Asia. Its first product, the Kalam-Raju Stent, was developed by former the former President of India, APJ Abdul Kalam.